When the people in charge of all the events in Santa Barbara, CA need shipping services, the phone starts ringing at the Handle With Care Packaging Store of Santa Barbara, CA. SANTA BARBARA, Calif. - March 18, 2015 - PRLog -- Santa Barbara, CA -- Wednesday, March 18th, 2015 -- As locals here in Santa Barbara, the Handle With Care Packaging Store staff know the people and know the city. Residents and businesses in Santa Barbara are accustomed to great service -- and the Handle With Care Packaging Store has built a stellar reputation by delivering on that notion. Hardly a day goes by when someone brings in an item to be shipped saying some other carrier turned it away because it was either too heavy or too large. That rarely happens here. With no size limits and no weight limits our experience and know-how to securely pack just about any item under the sun for safe shipment to just about anywhere in the world is why customers return time and time again. Operating under a code dubbed F-L-A-V that stands for Fragile, Large, Awkward, and Valuable, if the items needing to be shipped fall under any of these categories, it's time to call the experts for shipping services in Santa Barbara: the Handle With Care Packaging Store. "We're happy you stopped by because now you can tell your business associates and friends where to go for the best shipping services in Santa Barbara. We've built our business on referrals from customers like yourself and we love it when we hear that so-and-so referred you to us because it tells us we're doing our job right. We're happy to be an integral part of the Santa Barbara business center and happy to be of service." And to make a shipping task even easier, simply complete the short "Shipping Estimate" form on the website and get a shipment started in a snap. Just go to: www.gopackagingstore.com and on every page of the site sits the form. Or, just call in Santa Barbara at (805) 965-3344 and speak to a shipping professional to get precious valuables on their way to their destination. 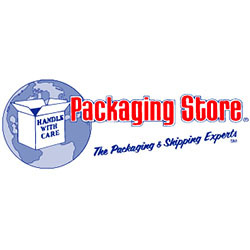 The Handle With Care Packaging Store providing shipping services in Santa Barbara. Hours: M-F 9:30a.m. - 4:00p.m.